Lois Lowery, a two-time Newbery Award winner for her books "Number the Stars" and "The Giver," was inspired by old photos to create this sensitive and tragic tale. Some of the photos are people that she knows, one is her mother, and others are strangers. The story is set in a small farming community about a hundred years ago and is told through the eyes of Katy Thatcher, daughter of the town doctor. Katy was fascinated with her father's work and at a very young age knew that she wanted to be a doctor. She was always interested in the people that her father treated, and it was this curiosity that drew her to Jacob Stoltz. When Katy is almost 8 she travels with her father to the country to bring home a new hired girl, Peggy Stoltz, because Mrs. Thatcher is expecting a baby. At age 15 Peggy is leaving school and home to get a job. Peggy's older sister, Nellie, lives and works next door to the Thatchers at the Bishops' house. Katy saw Jacob at the farm, and on the way home she asks Peggy about him. Peggy tells her that he is 13 years old and that he could never go to school because he is touched. Katy had heard the term "touched in the head" but didn't understand what it meant and feels too shy with Peggy yet to ask any more at this time. Peggy settles into the Thatcher household and is a serious and hard worker in contrast to her more frivolous, flirtatious sister Nellie. Katy becomes very fond of the hired girl, and as the weeks and months pass, Peggy tells her more about her brother Jacob. Even though he doesn't talk, he imitates sounds he hears with unbelievable accuracy. Katy also learns that he has a special way with animals and helps with the animals on their farm. One of his jobs is to drown some of the newborn kittens that arrive at their farm when the mother cat can't take care of them. Katy is shocked that such a gentle person would be capable of such an act. She begins to see Jacob regularly in their barn, and though he never looks directly at her, she begins to understand him. He eventually gives Katy a gift of a newborn kitten. Interwoven in Katy's everyday life are glimpses of the world and the town where she lives. In San Francisco there is an earthquake, and at the Triangle Shirtwaist Company of New York there is a terrible fire in which many young girls are killed while trying to escape. World War I is imminent, and young men are enlisting to fight. She thinks seriously about these events and also questions situations closer to home. She wonders about the building at the edge of town called the asylum and the people in it. She thinks about the differences between the lifestyle of the poor and wealthy. She is uncomfortable when she thinks of the day she surprised Nellie and Paul Bishop in the barn. She wonders why Nellie is sent away and Paul leaves school in his senior year. Jacob's story ends tragically, and some readers will be unprepared for this. The author does a good job of drawing all the elements of the story together for a tragic but logical conclusion. In the final chapters Katy also lets the reader know what happens to the other main characters in the story. Because of the moral and ethical issues raised, this book is recommended for junior and senior high school students. For more information, please visit the library at 725 Pekin St. or call (217) 732-8878. [MAY 21, 2003] The Lincoln Community High School spring concert will feature the jazz and concert bands, directed by David Swaar, and the beginning and advanced choirs, directed by Kim Peterson-Quinn. The concert will be at 8 p.m. Thursday in the high school gymnasium. Soloists: Nate King, Rachel Kasa, Nicole Tripplett, Katie Muck, Rachel Hahn, Lindsey Boerma and Ashley Moore. [MAY 19, 2003] The cast for Lincoln Community Theatre's June 13-21 production of "Nuncrackers" was recently announced by director Sarah Knutilla. Featured roles include Gail King of Lincoln as the Reverend Mother, Lesa Andrick of Decatur as Sister Hubert, Linda Schneider of Springfield as Sister Robert Anne, Angela Bayler of Decatur as Sister Amnesia, and Ann Ehnes of Manitoba, Canada, as Sister Mary Leo. Rounding out the adult cast will be Chuck McCue of Mount Pulaski as Father Virgil and Allen King of Lincoln as the stage manager. Four area children also appearing in the production are Amy Knutilla and Rachelle Cravens, both of Lincoln, Nick Kmetz of Mount Pulaski, and Brianna Skaggs of Mason City. On the show's production staff are Paula Stone, technical director; Jason Yarcho, musical accompanist, vocal and orchestra director; Ehnes, choreographer; Tony Crawford, lights and sound; Cynthia Knutilla, costumes; and Marlene Perry and Tom McLaughlin, LCT board liaisons. People who have season tickets can make reservations beginning June 2, when the LCT box office opens. General admission tickets will be available June 7. The box office is located in the Johnston Center for the Performing Arts on the Lincoln College campus. Season tickets for the summer are still available at $20 for adults and $12 for children through eighth grade. 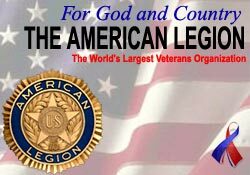 Send check or money order to LCT, Box 374, Lincoln, IL 62656. Additional information regarding LCT's upcoming season is available at www.geocities.com/lincolncommunitytheatre. [APRIL 25, 2003] Almost everything is new about the Lincoln Land Concert Association this year -- its name, its booking source, a reciprocal arrangement with two nearby cities and, of course, the artists who will perform during the 2003-04 season. Formerly affiliated with Trawick of New York, which has a copyright on the name "Community Concerts," the association is now booking through Allied Concert Services of Minnetonka, Minn., and has therefore dropped the word "community" from its name. The vote to change booking services came in October. Association president Harley Petri of Elkhart said the board of directors met with Allied president David Folin beginning last summer, liked what they heard and decided to give his company a try. Folin was present Tuesday night to preview the season's lineup. This year all performances are on weekends, with three shows on Friday night and one on Saturday. Headlining the series is Red, Hot...& Blue!, a musical revue featuring eight performers acclaimed as the "hardest working cast in Branson." They sing and dance their way from ragtime to rock 'n' roll. In Branson, Mo., the show has been consistently awarded Best A.M. Show, Best Costumes and Best Vocal & Dance Group. Red, Hot...& Blue opened on July 4, 1996. Since then the show has been featured on Holland-America Cruise Lines and Princess Cruise Lines and has made several national tours. The high-energy revue comes to Lincoln March 12, 2004. Fans of Garrison Keillor's "Prairie Home Companion" may remember Butch Thompson, a jazz pianist who performed on the radio show in the '80s and '90s. On April 23, 2004, he will team up with Duke Heitger on trumpet and Jimmy Mazzy on banjo and vocals to form Butch Thompson's Big Three. The trio of seasoned musicians traces the history of jazz from its origins in New Orleans to the ragtime of Scott Joplin, the blues of Chicago's south side and the jazz of the Roaring '20s. Thompson, who plays both piano and clarinet, also sits in as a music critic. In Minneapolis-St. Paul he writes a newspaper column and has a radio show on jazz. Leading off the Lincoln Land Concert season on Sept. 20 is a young male a cappella quartet called Marcoux Corners. Specializing in close harmony, the group covers five decades of music, beginning with the doo-wop style of the '50s. The vocalists mix humor with their harmonizing and feature fresh arrangements and programs tailored to the audience. Marcoux Corners has been hailed as "one of the best up and coming groups in the country" by an ambassador to the Contemporary A Cappella Society of America. Rounding out the season is Cowboy Envy, a trio of women musicians who perform in the style of the Sons of the Pioneers. Their show is "not country western; it's cowboy," Folin confirmed. Cited for Best Harmony by the Western Music Association in 2000 and 2001, band members bolster their sound with guitar and punctuate it with humorous tales of the Old West. An accordianist accompanies far in the background. The Atlanta Journal-Constitution reported, "Cowboy Envy galloped onto the scene with yips and yodels and harmonies to die for." A new feature of concert series membership this year is a reciprocal arrangement with associations in Pekin and Pontiac. Included in a Lincoln Land season membership is the option to attend any of the four concerts presented in Pekin and the three in Pontiac. For convenience, all three schedules will be printed on the Lincoln Land ticket. Petri said, "I'm really excited about the reciprocal agreement," which has been accomplished without a rise in price. Membership cost is steady at $35 for the basic adult season ticket. There is, however, a new upper-level sponsorship category this year. For $300 an Angel membership provides two tickets per performance plus four compact discs by season artists. Angels will be issued four coupons which they can cash in for CDs of their choice. In the case of Red, Hot...& Blue, a video may be substituted for the CD. Campaign secretary Judy Awe said two Angels have already signed on. Other levels of support are Benefactor ($150, includes two memberships), Sponsor ($80), Patron ($45), Adult ($35), Student ($15) and Family ($75). All memberships are season tickets. No individual tickets are sold. The membership drive for the 2003-04 season began Tuesday night. Anyone interested in purchasing a membership can call Awe at 732-4758 or membership chairman Mary Thomas George at 735-3241 (evening). Allied Concert Association has been in business for over 50 years. Since 1966 the Folin family has owned and operated the company. "If a woman answers the phone, it's my sister-in-law," David Folin said. "If it's a man, it's either my father, my brother or me." The Lincoln Land Association has been bringing performing artists to local audiences since 1958. "You are important," Folin told membership workers on Tuesday night. "Think how many years your organization has brought culture to your community." [APRIL 2, 2003] Lincoln Community Theatre is looking for local talent to sing, dance and act in its summer 2003 productions. Singing and non-singing roles are available. Individuals auditioning for a role in one of this summer's musical productions should have a song prepared. An accompanist will be available. Individuals trying out should also be prepared to learn a few basic dance steps at the audition. Those auditioning for non-singing roles will be required to do cold readings from the script. Scripts may be viewed at the Lincoln Public Library two weeks prior to each audition. Library scripts may not be removed from the building. All auditions will be conducted at St. John United Church of Christ, 204 Seventh St. in Lincoln. Audition: Friday, April 11, at 6 p.m. or Saturday, April 12, at 10 a.m.; possible callbacks on Sunday, April 13, at 2 p.m.
Audition: Friday, May 16, at 6 p.m. or Saturday, May 17, at 10 a.m.; possible callbacks on Sunday, May 18, at 2 p.m. Roles are available for six women (ages 18-70), with several parts for "mature" actresses as well as one woman in her 20s. Audition: Friday, June 6, at 6 p.m. or Saturday, June 7, at 10 a.m.; possible callbacks on Sunday, June 8, at 2 p.m. Many roles (23 in all) for male actors ranging in age from 20 to 50! Roles are also available for two women (both soprano). Roles include parts for older, "mature" actors as well as one young teenage male. A few male non-singing roles are also required for the show. Questions regarding auditions may be directed to Marlene Perry, audition chairman, at (217) 732-2640. Season tickets are still available for this season. Send check or money order ($20 adults, $12 children through eighth grade) to LCT, Box 374, Lincoln, IL 62656. Additional information regarding LCT's upcoming season is available at www.geocities.com/lincolncommunitytheatre. Preparing for the 32nd year of live summer theater for the Logan County area, Lincoln Community Theatre's 2003 membership campaign kicked off with season tickets available at $20 for adults and $12 for students through eighth grade. Productions for this season begin in June with the hysterical musical "Nuncrackers," a continuation of the well-loved "Nunsense" series offered by LCT in previous seasons. This selection centers around the sisters' holiday program and includes dueling Sugar Plum Fairies, dear Sister Amnesia and audience participation. The July production, "Steel Magnolias," is a familiar, bittersweet story that mixes laughter and tears as the audience becomes acquainted with the eccentric and lovable characters of a small Southern community. Closing the 2003 season on a patriotic note, LCT will offer the musical "1776." Humor abounds with the fast-paced wit of our founding fathers as they deal with revolutionary problems and joys. Performances Tuesday through Saturday will be at 8 p.m., and Sunday matinees will be offered at 2 p.m. All productions will be presented at the Johnston Center for the Performing Arts, 300 Keokuk St. Season ticket holders may make their reservations as soon as the box office opens on June 2 and are assured a seat for each performance on the night of their choice up to the date tickets become available to the general public. After that point, season ticket holders may still make reservations, but tickets are then reserved on a first-come, first-served basis. Season ticket holders may also purchase additional general admission tickets when making reservations during season ticket week and do not have to wait for general admission sales to open. General admission tickets to each production are available to the public one week before each show's opening, at the cost of $9 per adult and $6 per student through eighth grade. Individuals or businesses wishing to further support live theater in Lincoln may purchase memberships at increasing levels and be recognized in each program during the summer season. Those memberships are as follows: Friends of LCT at $30 (includes one membership), Sponsors at $50 (with two memberships), Angels at $100 (four memberships), Grand Patrons at $250 (eight memberships) and Sustaining Members at $500 (12 memberships). The Logan County Arts Association, in conjunction with GKC Cinemas Corporation, has brought the classic film night series back to the Lincoln Cinemas. The next set of films is scheduled for every second Thursday through October, with shows at 7 p.m.
Tickets are $5.50 for adults and $4.50 for senior citizens and children 12 and under. The tickets are available at GKC Lincoln Cinemas. Anyone wanting more information may call the Logan County Arts Association at (217) 735-4422. Lincoln Community Theatre's box office, phone 735-2614, is open from 11 a.m. to 2 p.m. Monday through Saturday for the summer season. The office is located in the lobby of the Johnston Center for the Performing Arts on the campus of Lincoln College.